The National Socialist German Workers’ Party, or simply the Nazi party, are known for many things — mainly for their desire to shape the world as per their ideals. Among others, one of the things that were also specific to the Nazis was their ambitions to create huge, grandiose buildings, only for the purpose of showing the power and success of the Third Reich. So whether it was a war factory, monument, school, camp or a propaganda site, it had to be imposing. 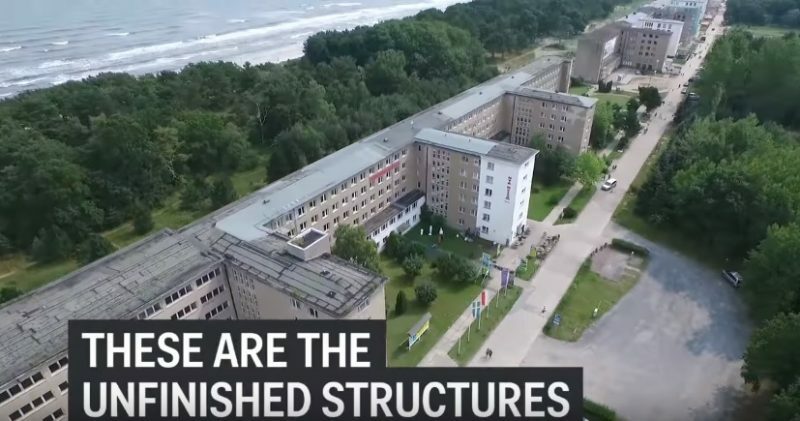 Knowing this, it should come as no surprise that the biggest hotel in the world, the Prora, was also built by the Nazi regime. 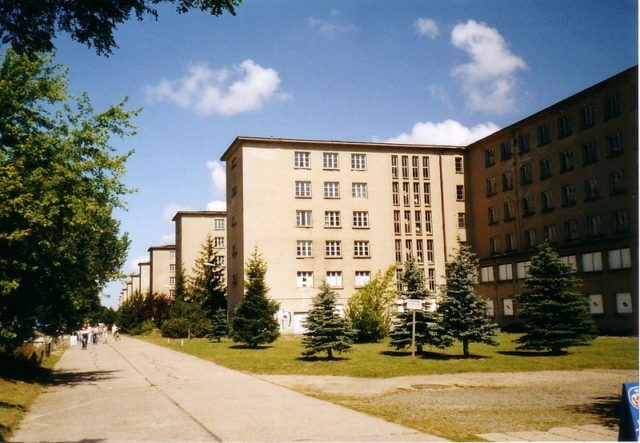 Construction of Prora started some 70 years ago, on the German island of Rugen, in the Baltic Sea. 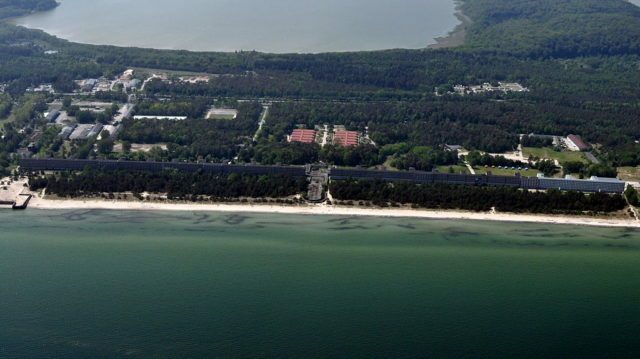 Hitler wanted a monstrous beach resort, one like the world had never seen before. Besides being a hotel, the Führer also wanted the resort to be able to transform into a military hospital in case of war. “Koloss von Prora” or the Colossus of Prora. He also insisted the resort have a cinema, a theater, a dock for the guest’s ships, and a concert hall that could accommodate 20,000 people. There was also a noble cause behind the construction of Prora: it was planned to provide affordable holidays for the average worker. 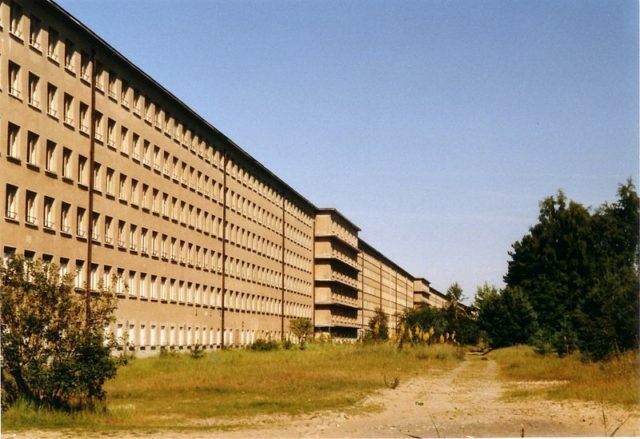 Prora’s design, made by the architect Clemens Klotz under the supervision of the Nazi chief architect Albert Speer, won the Grand Prix award at the 1937 Paris World Exposition. The construction started in 1936 and was stopped three years later, due to the beginning of the war. The site employed almost 9,000 workers, and all of the biggest Reich building companies were included in the project. The hotel has 10,000 rooms which can accommodate 20,000 guests. Divided into 8 housing blocks and stretching for three miles, the hotel was built around 500 feet away from the sandy beach. All the rooms were the same size, with 2 beds and a view towards the sea. The corridors were built on the land side, and there were communal toilets and showers on each floor. In 1939 WWII began, so all the workers were transferred to work in Hitler’s war factories. The world’s biggest hotel has never received a single guest — it remains unfinished to this day. During the war, the resort was used as a refugee camp for many people from Hamburg, and later for refugees from East Germany. In 1945, the Russian army took control over the island and established a military base. They remained there for one year, occupying 5 blocks of the resort. 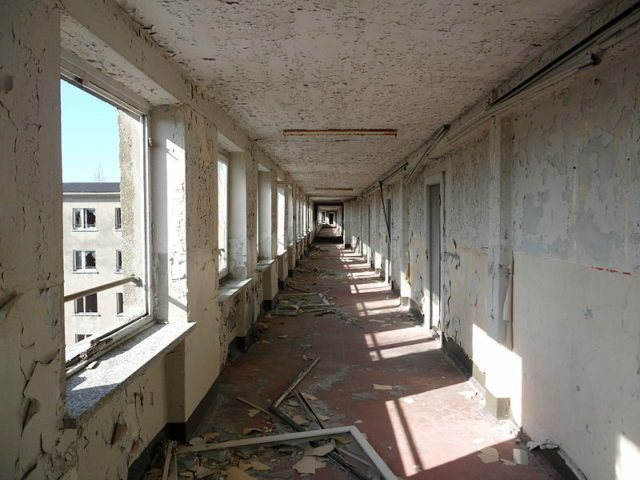 During their stay, the Soviets stripped all usable materials from the buildings. In 1950, the East German military rebuilt some of the demolished buildings. After this, the resort served as many things, except as a hotel. It was a military technical school, a youth hostel, a camp for asylum seekers from the Balkans, and finally a museum and a disco. 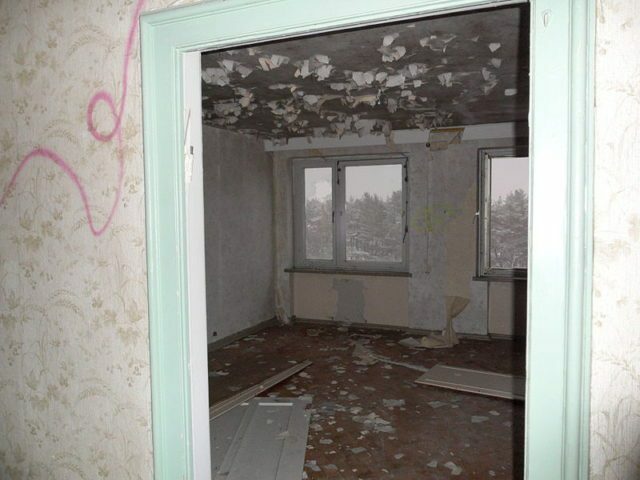 Today, Prora is being renovated by private investors. Four of the housing blocks are being redeveloped, one is used as a youth hotel, and the remaining three are still in ruins. Time will tell if the Colossus, as it called by the local population, will ever reach its full potential and serve as a hotel for 20,000 guests.